Flat and coved ceiling, smoke alarm, laminate flooring, radiator, thermostat control to wall, storage cupboard, cupboard housing heating system and further storage. 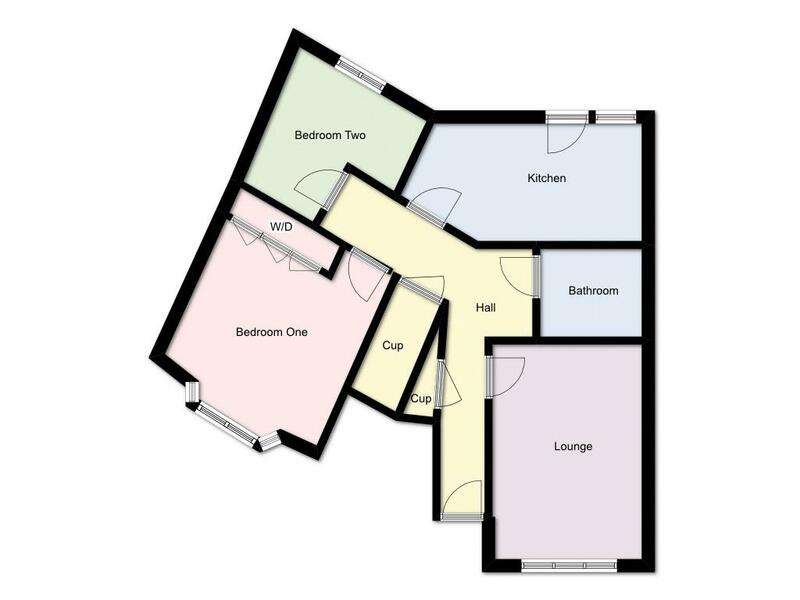 Flat and coved ceiling, UPVC double glazed window to front elevation, laminate flooring, radiator, TV aerial point and telephone point. Flat ceiling, fitted with a range of base cupboards and matching eye level units, roll top work surfaces, tiled surround, one and a half bowl single drainer stainless steel sink unit, electric oven, gas hob, extractor hood over, recess for fridge/ freezer, recess and plumbing for washing machine, tiled flooring, wall mounted boiler, radiator, space for table and chairs, UPVC double glazed window and door to enclosed garden. 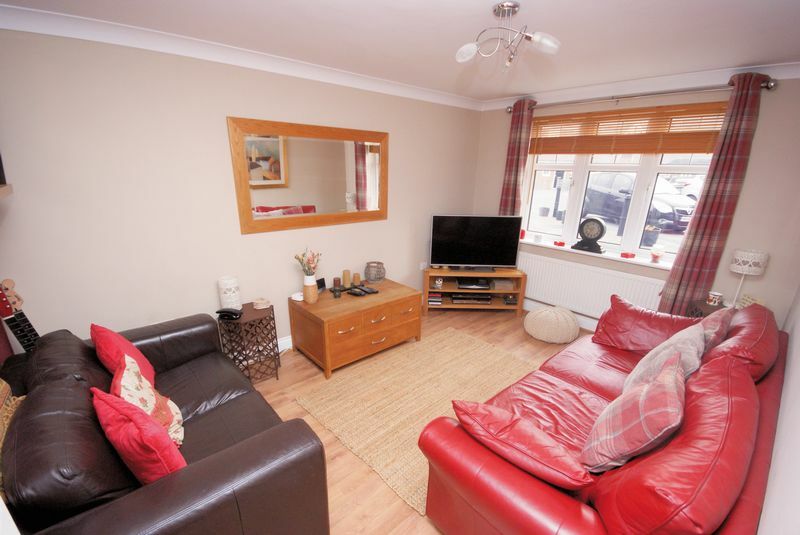 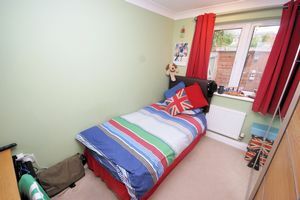 Flat and coved ceiling, smoke alarm, UPVC double glazed bay window to front elevation, radiator, range of built-in wardrobes, telephone points and TV aerial point. 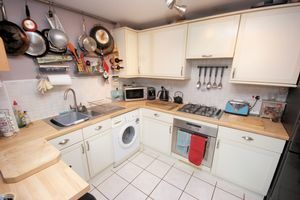 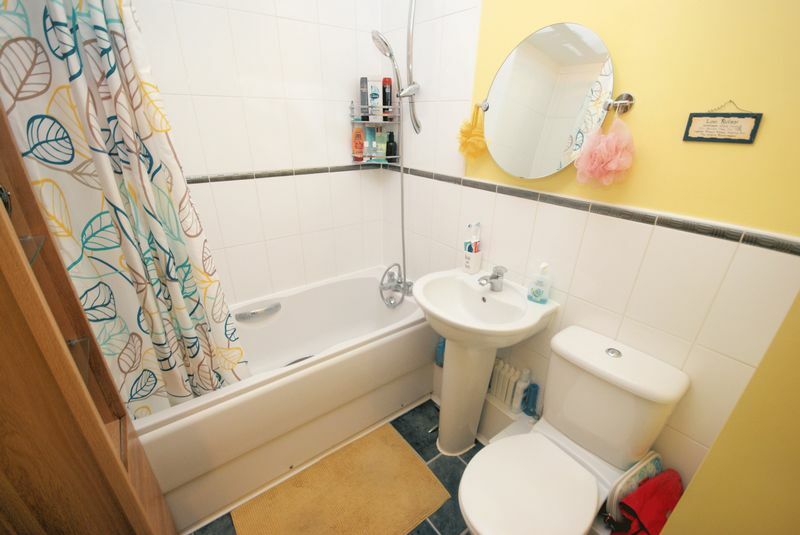 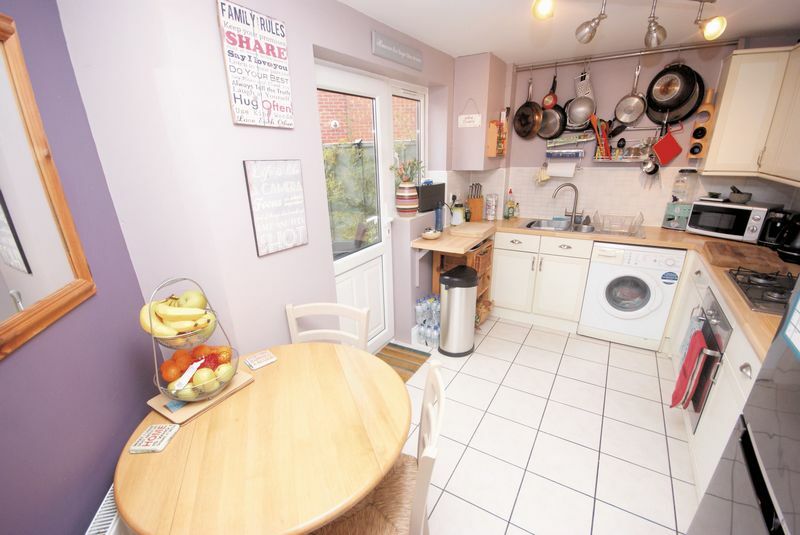 Flat ceiling, extractor fan, close coupled WC, pedestal wash hand basin, panelled bath with mixer tap and shower connection off, radiator. 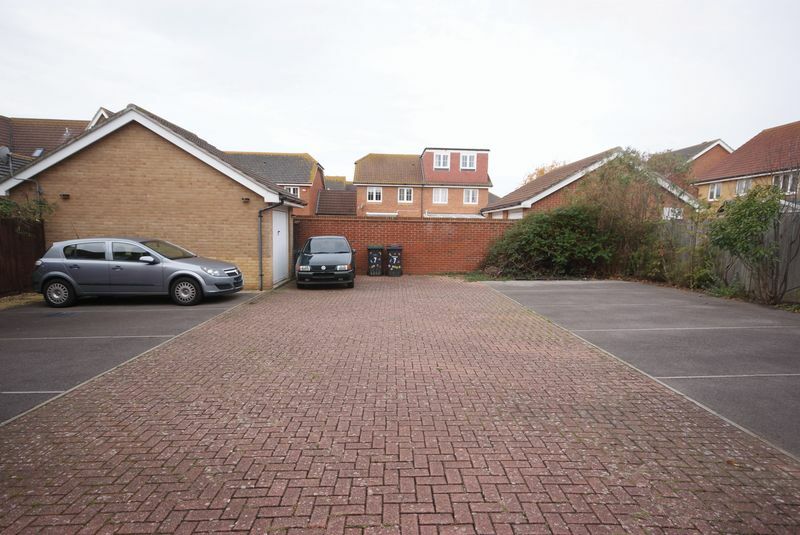 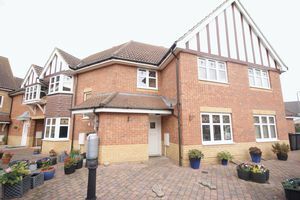 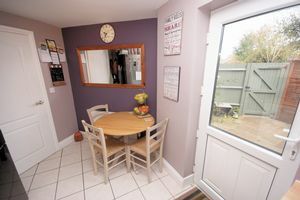 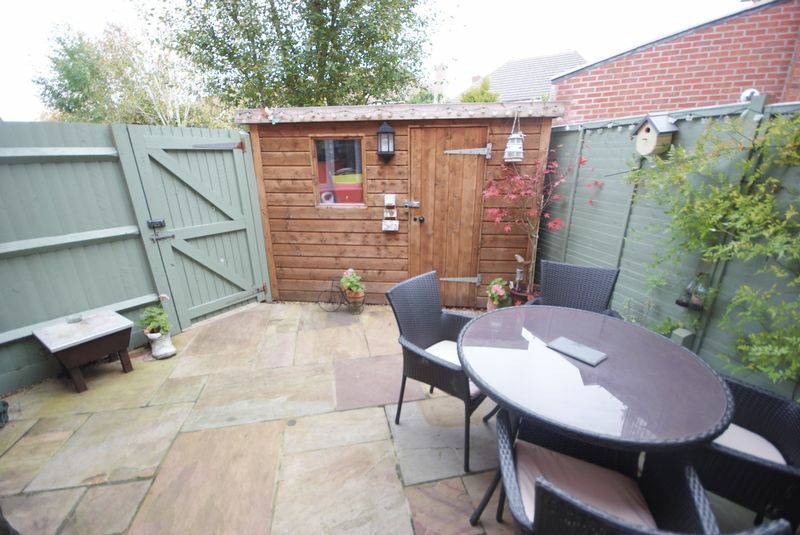 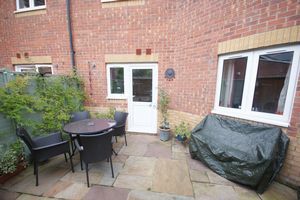 The garden is enclosed by panelled fencing, laid to paving, storage shed/workshop with shelving, power and light connected, outside water tap, pedestrian gate providing access to the rear where the parking area can be found, this property benefits from two allocated parking spaces. 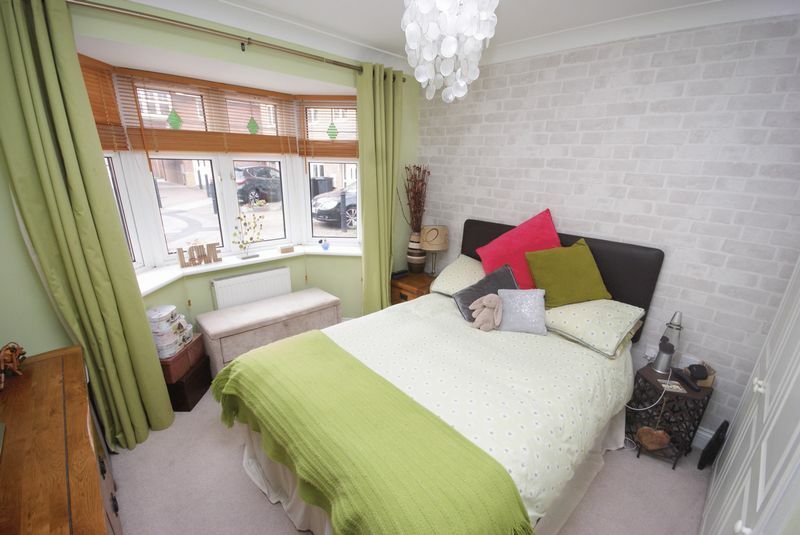 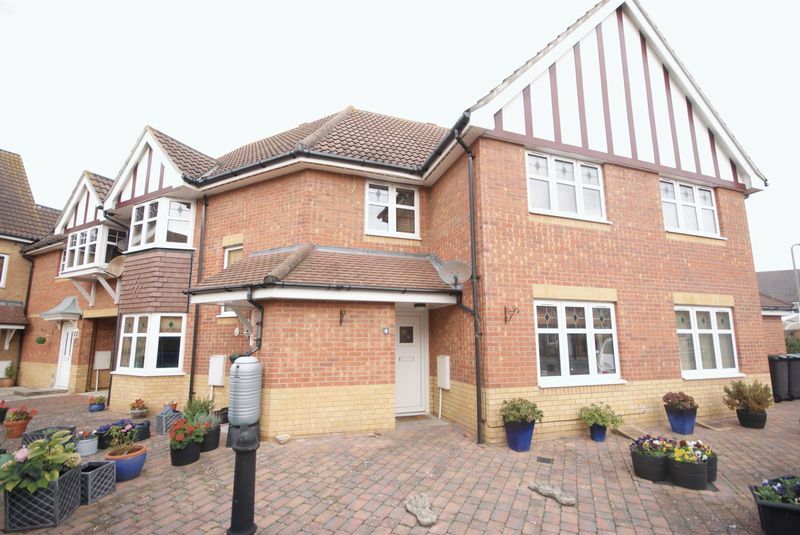 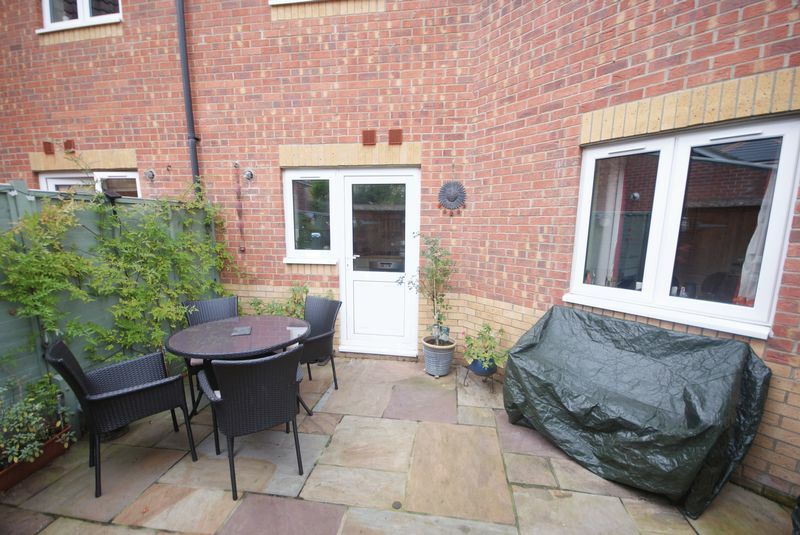 To the front of the property there is an open plan block paved garden in front of the main bedroom. Maintenance is a peppercorn fee.